This dish is a nice surprise! 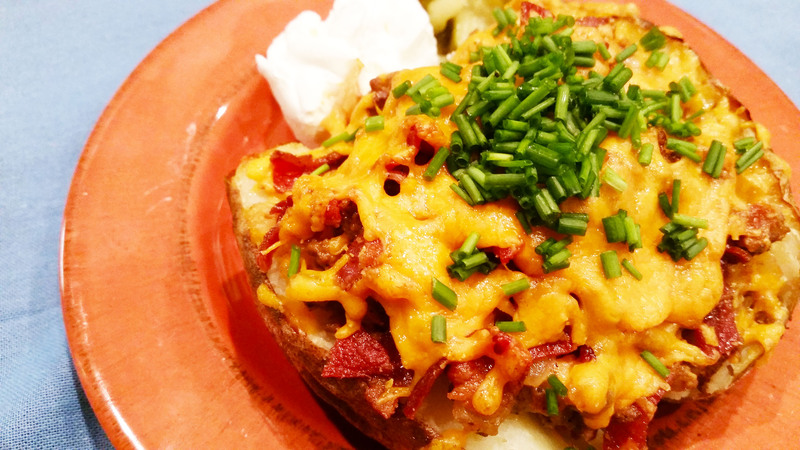 I love baked potatoes, and love me a cheeseburger! So putting this all together in one big plate is just happiness! I used Yukon potatoes…which are delicious! Her meat mix is very good! I found a great English Grassfed sourced sharp cheddar. Fresh chives really are great! I topped it with a bit of grass fed sourced Sour Cream (like any good baker deserves!) and some delicious chipotle salsa, because, well, salsa! The recipe is quick, simple, and very filling! 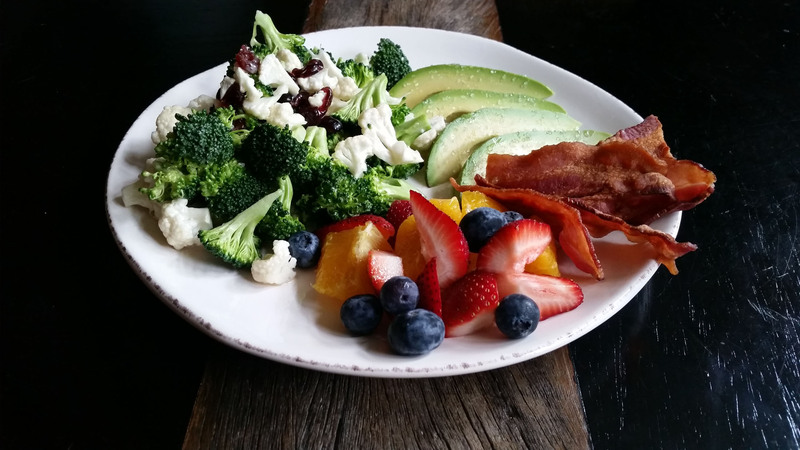 Check this one out, in Clean Eating with a Dirty Mind and let me hear your twists! Of course I would gravitate to chocolate brownies with a first crack at this book! Page 110 has a lovely, simple but very rich recipe for brownies….Clean Eating With A Dirty Mind does not dissappoint here. Barajas uses this recipe as a base in several things throughout the book. 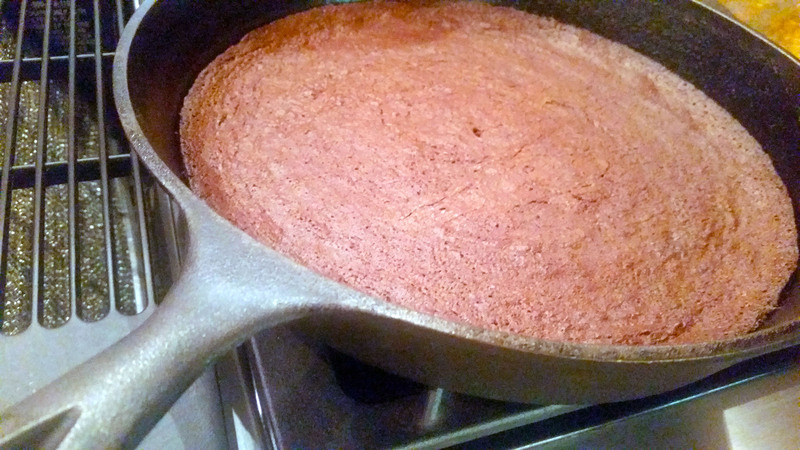 A little deeper in she puts it in a skillet for a brownie sundae that I will be putting together when I make her ice cream, etc., however, seeing that my usual brownie pan was otherwise occupied, I went ahead and cooked the brownies in the skillet…which was a win! 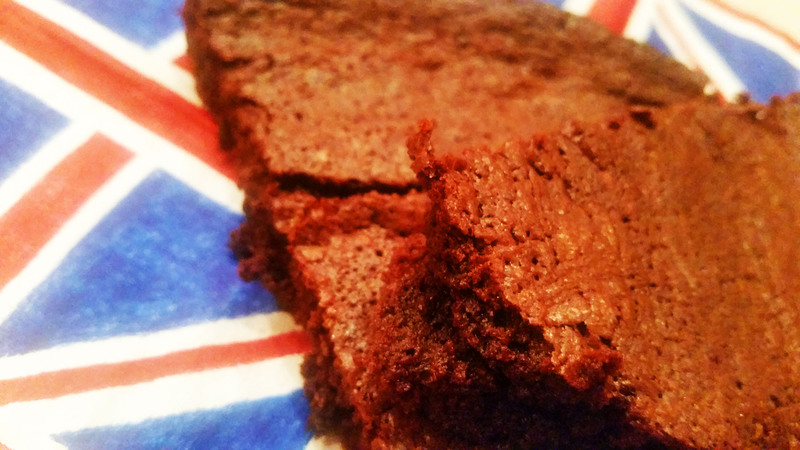 Because I greased the pan with Kerrygold Butter….and added a nice buttery tone to the edges of the brownies! These are easy and delicious, definitely will be a repeat! Let me know if you give this one a try, and any ideas you have for it! I think a sprinkle of cinnamon would be my twist on it…I am a sucker for cinnamon in chocolate. Eat up! 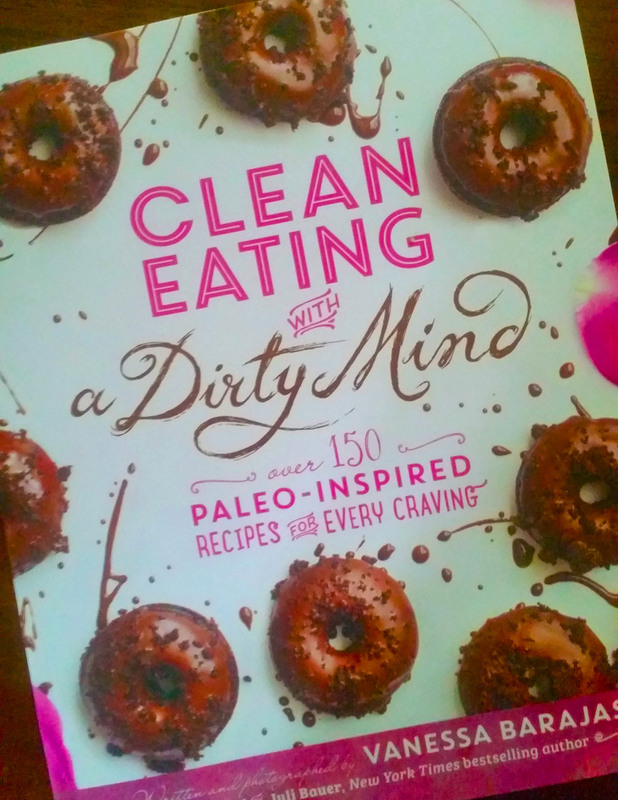 I managed to get a copy of Clean Eating with a Dirty Mind a few days before the release date. This is the new book of deliciousness from Vanessa Barajas. I admit I have followed her Instagram posts for a long time and was excited to see this new book! Now, I have to admit that I tend to pick up all of the new Paleo cookbooks as they come out, particularly the ones from the well respected bloggers in the Paleo community. I have shelves full of these books. Most of which I manage to pull 3 or 4 strong recipes from, and maybe only one or two I cook regularly. Only a very few of these books come out on a regular rotation and I use the recipes regularly…examples being Nom Nom Paleo Food for Humans by Michelle Tan, Practical Paleo by Diane San Filippo, Well Fed 1 and 2 by Melissa Joulwan to name a few of my favorites. That being said, Clean Eating with a Dirty Mind kept me flipping the pages! The photos are just breathtaking and the recipes not only seem dee-lishus but also not overly complicated! I spent two evenings thumbing through trying to decide what to try first and the movie Julia & Julia came to mind, I kept thinking, I want to try every recipe in this book! There is literally only a couple of recipes I would not normally mess with, only because just not a favorite dish to me, but still looks appealing! So, like some crazy fan I sent a message to the author, Vanessa Barajas, and told her my though on Instagram! I think i heard a giggle in her response, but decided then, I am going to do this! Ok, so I am not going to commit to a crazy time frame, but I am going to work my way through this book and post about it as I go! I will keep posting other foods, but you will know when it is an Every. Single. Recipe. post. So get ready, her book is fantastic! 152 delicious recipes are on the way…get ready! Let me know your thoughts…! I know, I have been missing for a while. As much as I think I am a blogger, I really spend all my time raising my daughter and working. So I finally buckled down and got myself an awesome personal trainer who is helping me get the fitness thing going, and I have had a few moments to think about things in the kitchen! After my workout this morning, I was crazy hungry and just wanted to lay down. But my brand new copy of ZenBelly (amazing paleo cookbook…give it a read!) was laying on the table as I walked by and I flipped through it becoming more and more inspired. I took a few notes of things i needed from the store to make a couple of the recipes and headed to Whole Foods. While there, I stumbled across the most beautiful tomatoes I have ever seen! And what crossed my mind was pizza. 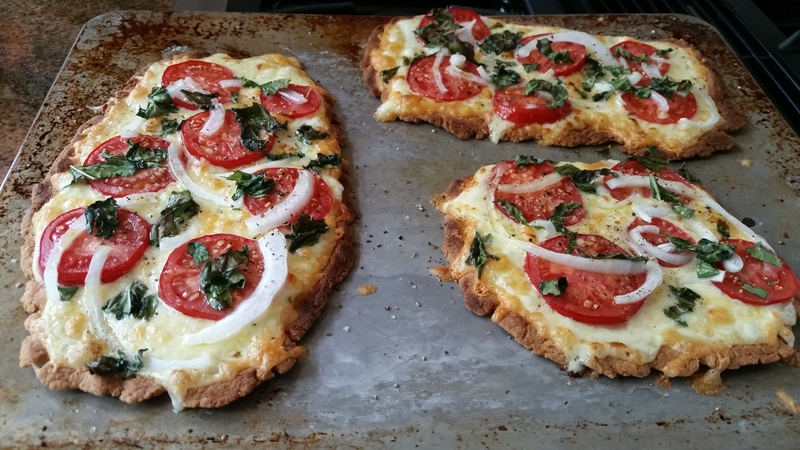 I have tried many different pizza crusts from different cookbooks and in restaurants…all trying to be the best paleo crust ever and all they ever tasted like were burnt nuts, and soggy at that. I have used a recipe a couple of times that got the flavor right, but still got soggy as soon as you put toppings on, so I decided to start tweaking it. And this time, I got it! Real pizza crust flavor and crispyness to the crust that doesn’t sog out in the first 5 minutes! There are more pics of this over on my instagram at paleo_k so come check it out! Alright, enough banter, on with the Pizza! Whisk the wet ingredients and add to the dry by mixing with a spoon until combined then kneading with your hands a few times. Press dough out on your cookie sheet or pizza pan (greased with olive oil). I like to split the dough into 3 or 4 small crusts for more crunch edges. Press the crusts out to about 1/4 inch thickness. Prick the crusts all over with a fork and put in a 400 degree oven for 16-18, until golden and lightly browned. Remove from the oven and start building your pizza! Brush the prepared crusts lightly with olive oil. Put under the broiler for 3-4 minutes, until cheese melts and begins to brown. Cut with a pizza cutter…..and devour! NOTE: I find when I use pizza sauce, the sog happens. 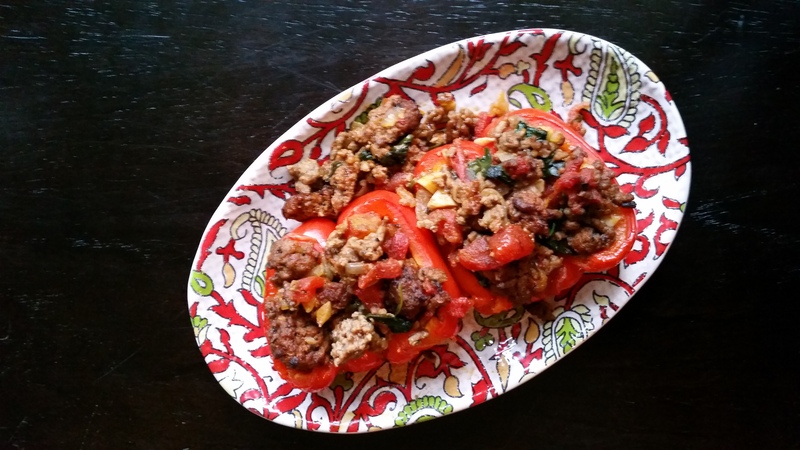 There is a great recipe that I have gone back to over and over for stuffed peppers in “Practical Paleo” by Diane Sanfilippo. It is basic and tasty and good for you! Easy to prepare ahead, even to have in the freezer. I am always wanting an additional flavor punch. OK. I can’t help but tinker with recipes sometimes. So with the addition of Chorizo for flavor punch, and spinach for extra veggies, and cumin and double the garlic? OH you just have to make this, it is so good! Preheat your oven to 375 degrees. While doing that, halve and remove seeds from 3-4 red bell peppers. Place these in a large pyrex dish, flesh side up, and roast for 20 minutes. Take them out and let them cool enough to handle….flip over and they are ready to stuff. begin browning these two ingredients in a large skillet. Keep moving it all around in the pan, browning the meat and onions as you go. Add in several handfuls of baby spinach (fresh). Up to 10 oz. as the spinach wilts, turn off the heat….this part is done! You can add in some fresh basil leaves at this point as well. 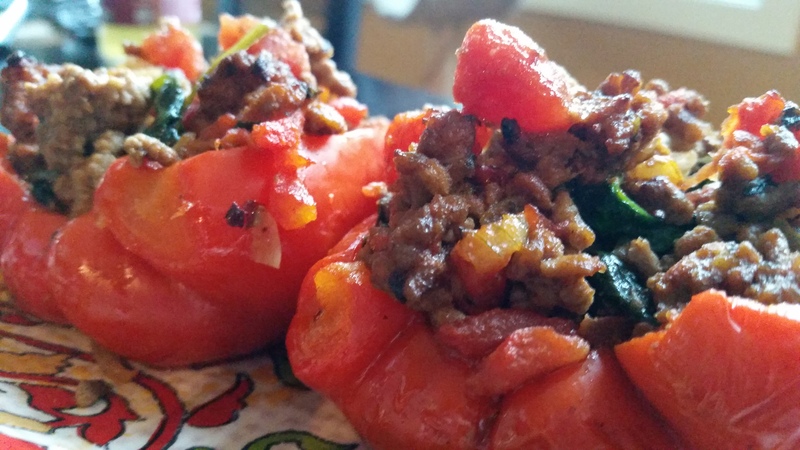 Fill your roasted peppers with the meat mixture, and any extra meat just tuck in around the peppers, someone will eat it! Because of the flavors involved, you can push this as mexican food or italian…maybe this is fusion? I don’t know. But it is a meal in itself. Or you can dice a little avocado on top! Or serve with a salad! So dern good. You need to try this one! Nothing complicated here, just clean, easy yum. Fresh avocados with a squeeze of lemon juice and a dusting of coarse sea salt. Thick cut no sugar all natural bacon, perfectly fried. A small pile of fresh fruit, all organic. 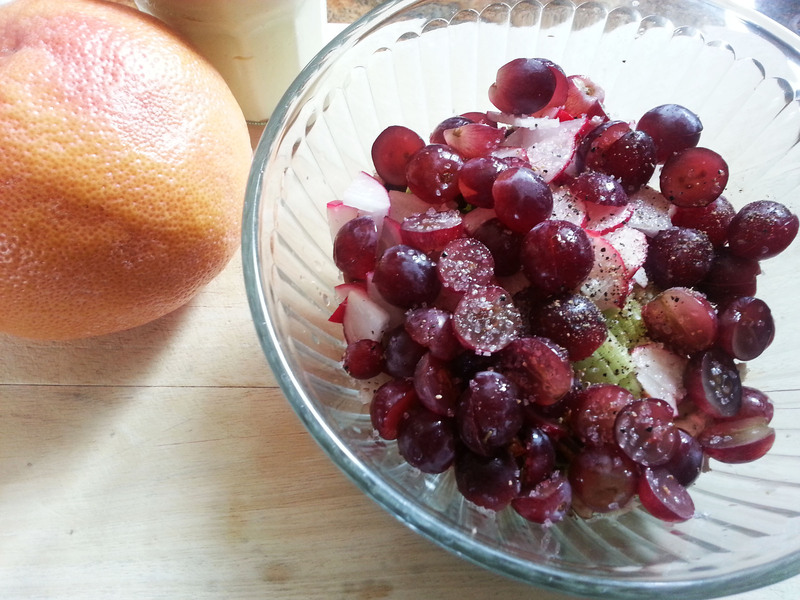 And the raw crunchy salad I am so addicted to! In the bottom of the bowl, 2 TBSP of home made paleo mayo, 2 tsp honey, couple of splashes of raspberry balsalmic vinegar to taste….wisk wisk wisk. Now add to the bowl a handful of bite size raw broccoli and of cauliflower. also a few dried cranberries. (I usually add radishes and pecans, but was in a hurry!). Now toss everything together! The longer you have, keep tossing and the flavors build! So dump the salad on your plate, your done! Oh Simple Thing, where have you been? So this little side dish made it on my plate, and besides being oh-so-good, was a pretty little number too! Quick cook the asparagus…2-3 minutes in a shallow pan of boiling water, drain and squeeze lemon juice over the asparagus with a bit of salt. Have a few pieces of bacon frying up while that is happening. 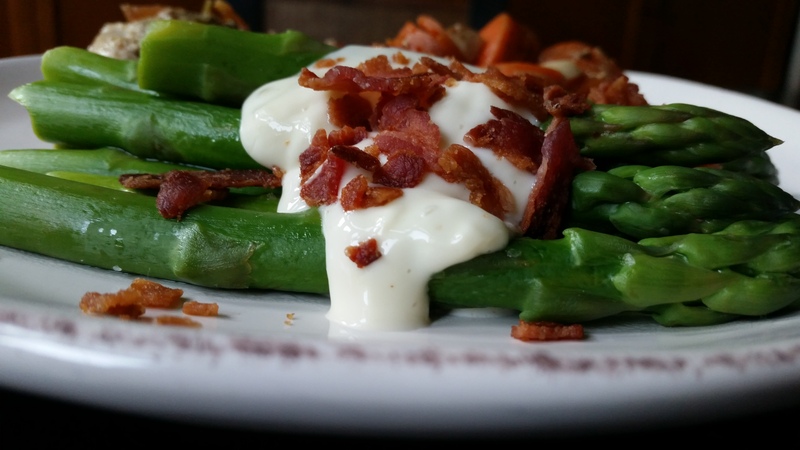 Place your asparagus on your plate, give it a very generous dollup of home made paleo mayo, and crumble your bacon over the top! Could it be more simple? Maybe, but dang this is easy and so so so good! I used nice fat asparagus this time…I usually prefer the thin, but these were fun to just pick up and eat. Try it. You will like it, I am sure of it! 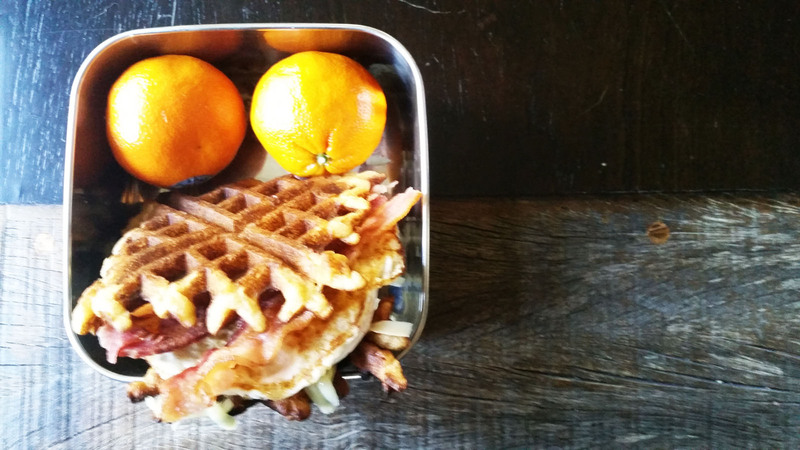 Waffle Sandwich, paleo gone wild! Less of a recipe, more of an idea. I have recently subscribed to a bloggers site for a very small fee, and the fee paid for itself in one recipe. WWW.brittanyangell.com is where you need to go, and by joining her Club Angel, you will find all kinds of delights! One such delight is her Paleo Waffles…so what is the big deal you ask? They are CRISPY…the way a waffle should be. Soft on the inside, crispy on the edges! You can make them sweet or savory! You can add cinnamon, chocolate chips, blueberries….treat them as a blank canvas and just go wild! But think about this….pop leftovers in the toaster the next day…..and eat more of them! Toast them super crispy and use them like chips! Or crumble them into your chili! Layer them with your favorite sandwich materials! Load them up with grassfed cheese and tomoatoes, grilled cheese! Use them and abuse them…they are delicious…versatile, fast and easy! This morning I topped one with a little Kerrygold cheddar, a few slices of bacon, a fried egg and had an egg sandwich…I was in heaven! Need I say more, because I could! But right now, I need a waffle sandwich! My usual hurried run home for lunch found me with a few extra minutes, I actually got to eat it at home instead of packing it up to go! 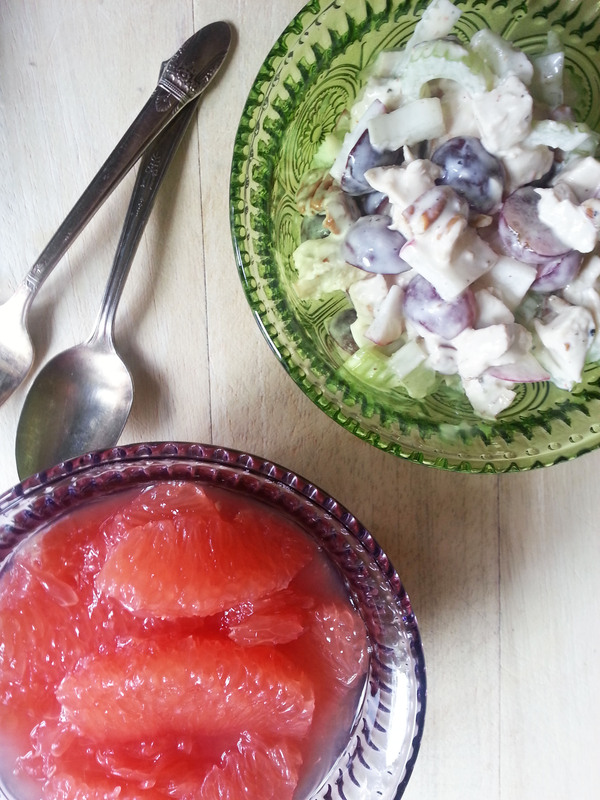 A grapefruit was calling my name loudly…and I knew that would be in the mix, but I wanted to change up the chicken a bit, so I took the Poached Chicken I have been eating off of this week and diced it up to make a quick chicken salad today….really nice! Mix all of the above gently and enjoy! Of course there are a million variations, I was really wanting a little fresh parsely, but I was out! I have been a big fan of mayo for as long as I can remember! My childhood consisted of mayo and bread sandwiches, mayo+white bread+american cheese (! ), mayo+lettuce+white bread, and on and on… every day for most of my young life! As I grew up, I would eat it on crackers, veggies, you name it. I would pick mayo over butter any day of the week! And, I was a Hellmanns girl. None of that sweet Miracle Whip or Duke’s (although I learned to appreciate MW on a ham sandwich from time to time…). 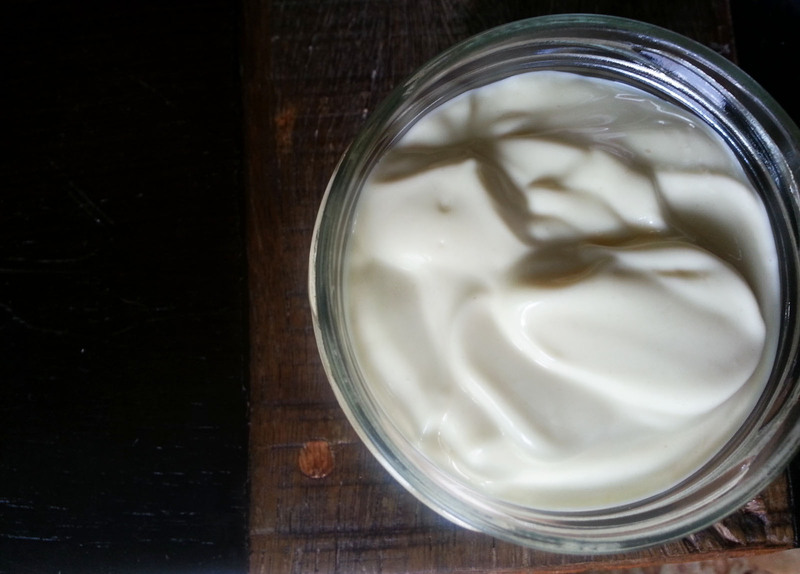 I always heard how difficult mayo was to make and that home made was ultra delicious, but very tricky. When I found paleo living, I saw so many bloggers and chefs making their own healthy mayo which had good healthy fats and amped up so many meals, but the recipes were complicated, often needing all ingredients brought to room temp, some were yolks only, some use the blender, some use the food processor, and often it was a game of chance if it would firm up or break. I have probably tried a dozen different recipes, multiple times each, and was running a 50/50 chance as to whether the mayo would “make” or not! Here is how you do it…. put the blender in the cup all the way to the bottom and start whirring away…bring it up slowly, then slowly back down and up a couple of times until you see the consistency you like…less than a minute. That’s it! SO simple! and so delicious! This will keep in your fridge about a week or a little longer, if it lasts that long! Watch out, I am back! Every. Single. Recipe. S’Mores Bars! Every. Single. Recipe – Chocolate Cupcakes. The End. Every. Single. Recipe… Bacon Jalepeno Deviled Eggs!